15th Ave. Coffee and Tea: What's a Brand Worth? Last month Starbucks opened a new store. For a company that opens almost two stores a day, this usually doesn’t make the news. 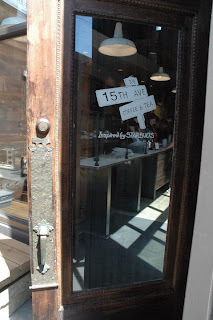 The location that Starbucks opened last July, however, wasn’t just another store, it was a coffee house called 15th Ave. Coffee and Tea. The new coffee house offers coffee tasting sessions each morning, serves beer and wine, and prides itself on its involvement in the local community. The interior décor features a swarthy mercantile theme and is constructed of almost entirely recycled materials. What is Starbucks doing? Are they giving up their brand to pursue the indie market? Are they finally capitulating to the Starbucks-haters? What does this mean for the value we place on brands and their power to sell products? Isn’t brand supposed to be a differentiator? Starbucks boldly states in its annual report, “The Company’s objective is to establish Starbucks as one of the most recognized and respected brands in the world." They’re on their way to accomplishing this goal as the two-tailed mermaid is one of the planet’s most recognizable icons. Why is the company giving up its brand to grow its business? Starbucks has successfully leveraged its branding power into adjacent markets like ice cream, coffee hardware, and music and film publishing. Much of the value in Starbucks emanates from the strong and recognizable brand the company has created. Logical revenue growth opportunities lie in cross selling additional products and services to their massive base of foot traffic and expanding into adjacent spaces where the brand can be made relevant. The 15th Ave. store makes you wonder what management is thinking, because rest assured, they won’t make a dent in the indie coffee market. Starbucks 15th Ave. store is part of a larger identity crisis and turn-around story that encompasses the dilution of the Starbucks experience, slowing top line growth at what Wall Street wanted to call a “growth company,” and founder Howard Schultz’s retaking of the CEO helm. During the 2000s, Starbucks’ comparable store sales peaked at over 11% in 2004, a stunning growth rate fueled by seemingly insatiable consumer demand, higher drink prices, and successful cross-sell efforts in the food category. These tactics proved to be lucrative but came at a cost: the repulsive smell of melted cheese from grilled paninis permeating the entire store. Comparable store sales growth, a good measure of retail health, has since dropped to a meager 4% in 2007 and to a negative 5% in 2008. In short, Starbucks went from being a high-end specialty coffee shop in the late 1990s to being a direct competitor of McDonald’s. These qualities, specifically the local and sustainable rhetoric, have been a part of the Starbucks message for years. The design qualities aren’t new either—many of the company’s stores conform nicely to local architecture and micro-cultures. In short, Starbucks is wasting their time creating off-brand coffee shops. The design innovation and management attention that these stores are getting could be put to better use by reinvigorating the flagship Starbucks stores. 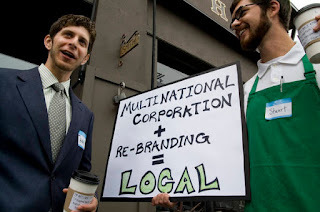 Masquerading as an independent coffee shop is deceptive and unproductive—instead the company should act on their commitments to sustainability, non-market trade practices, and great employee relations. Following through with these commitments will silence many of the company’s detractors and provide scalable value for the brand that has lasting impact. Below is a paper I wrote on the moderation in business cycle volatility experienced from the 1990s through the mid-2000s. I explore the impact of the information technology revolution and innovation in monetary policy on the behavior of prices and output. Viewed through the current lens of the 2007 recession, one potential variable that I would like to investigate is the buildup of moral hazard in the financial system. Let me know what you think or if you have comments. If you use the web, chances are you've been asked to use a "captcha." A captcha is a way of differentiating between humans and machines by asking users to transcribe garbled text that is unreadable to a computer. Whether it's preventing spam on blogs or verifying website sign-ups, captchas keep malicious programs from sending spam and consuming energy. Captchas have been around for almost a decade and are fairly commonplace, but an organization called reCAPTCHA is pushing the envelope in terms of how data is used and has some strong potential for being a lucrative company. reCAPTCHA is a project from Carnegie Mellon that offers a standard captcha service for free to any web service. What is innovative about reCAPTCHA is that the service asks for two words to be transcribed before allowing users to proceed. The first word has a known value and is the test, while the second word is displayed so that reCAPTCHA can learn its meaning. If enough users agree on the meaning of the second word to a point of statistical significance, chances are that the meaning of the garbled word has been found. 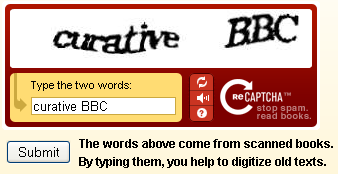 Here are two examples from reCAPTCHA's website. reCAPTCHA is currently working with the Internet Archive and the New York Times in an effort to convert books and old papers to text so that they can be preserved, searched, and kept accessible for generations to come. In addition to the altruistic applications of reCAPTCHA's technology and data, it could have a very lucrative business model. 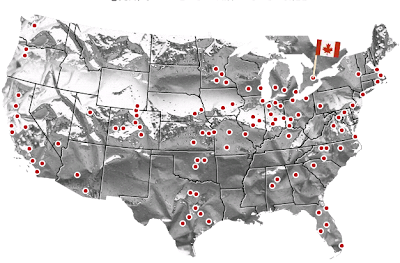 There are several companies that are digitizing books, including Google and Amazon. reCAPTCHA could license it's technology to help these companies transcribe books more quickly and accurately. Another potential business could be to license their technology to law firms that have to sift through thousands of pages of written documents to gather evidence and build their case. Using this technology would save them time and reduce labor costs for these firms. reRAPTCHA is a great example of a free service that is generating huge amounts of data and using it in a valuable way. This technology powers large scale text scanning projects like Google Books and Google News Archive Search. 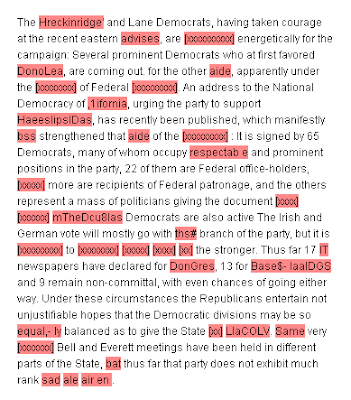 Having the text version of documents is important because plain text can be searched, easily rendered on mobile devices and displayed to visually impaired users. So we'll be applying the technology within Google not only to increase fraud and spam protection for Google products but also to improve our books and newspaper scanning process. GM management has noticed the continuing high trading volume in GM's common stock at prices in excess of $1. GM management continues to remind investors of its strong belief that there will be no value for the common stockholders in the bankruptcy liquidation process, even under the most optimistic of scenarios. Stockholders of a company in Chapter 11 generally receive value only if all claims of the company's secured and unsecured creditors are fully satisfied. In this case, GM management strongly believes all such claims will not be fully satisfied, leading to its conclusion that GM common stock will have no value. If it is highly unlikely that the company will have any value after bankruptcy proceedings, why are GM shares shares trading as high as 90 cents? The shares will soon be worth $0.00, but at the moment there are short sellers who profited as the stock fell and are covering their positions by buying shares. This theory makes sense, but still, $1 a share and over a half billion dollar market cap is too high for a company worth nothing. Information is a big business. 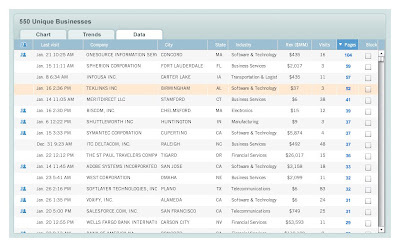 Hoovers, BuyerZone, and Salesgenie.com, to name a few companies in the data space, are firms that make their money by compiling and selling names and phone numbers. They slice the data a number of ways, enabling marketers to generate qualified leads with targeted lists for direct marketing campaigns. DemandBase, headquartered in San Francisco, is different. While the company offers traditional list services similar to some of its peers in the B2B lead generation space, DemandBase provides something more innovative. They have created a way of identifying people who visit a company’s website and then enable that company’s sales team to follow up with these website visitors by providing their names, phone numbers, and other key information. In their own words, DemandBase “enables you to identify, reach and convert website visitors in your target market, including those who do not submit their contact information — the 95+ percent of all Web traffic we call ‘the silent majority.’” Essentially the company is using its existing data and mashing it up with IP addresses to attempt to identify a website visitor and then displays relevant contact information. I think of DemandBase like Google on steroids, as it actually delivers potential leads, not just traffic. DemandBase shows that the value of data is enhanced by relevancy, and they’re come up with an innovative way of making it relevant. The Fed Speaks: "The pace of economic contraction is slowing"
The Fed announcement this afternoon was largely uneventful and the committe reiterated its use of existing policy tools. The only real surprise was that the FOMC didn't introduce any hints of an exit strategy given the risk of the massive growth of the monetary base. An exit strategy with the goal of soaking up excess liquidity will be crucial in the coming 18 months or so as inflation dangers become a reality. While the Fed didn't introduce any plans to reduce it's role in the private debt markets, it has laid the groundwork for an eventual reversal of its position and slimming down of its bloated balance sheet. Let's take a look at the first two sentences of the FOMC statements from the last three meetings. These sentences are very similar with minor differences in language, reflecting the thinking of the FOMC. You can get the complete press releases here. Information received since the Federal Open Market Committee met in January indicates that the economy continues to contract. Job losses, declining equity and housing wealth, and tight credit conditions have weighed on consumer sentiment and spending. Information received since the Federal Open Market Committee met in March indicates that the economy has continued to contract, though the pace of contraction appears to be somewhat slower. Household spending has shown signs of stabilizing but remains constrained by ongoing job losses, lower housing wealth, and tight credit. Information received since the Federal Open Market Committee met in April suggests that the pace of economic contraction is slowing. Conditions in financial markets have generally improved in recent months. Comparing the statements shows that the Fed firmly believes that the economy is on the mend and that we are near the bottom. Take a look at the language the Fed is using: Press releases from March and April are void of any positive words or hopeful indicators. The first two sentences of these statements contain the words, "contract," "losses," and "declining." Only in the June statment does the Fed use a positive word, "improved," in it's opening sentences. While the statements reflect the current state of the economy as the Fed sees it, the changes in tone are notable as the Fed lays the groundwork for eventually unwinding its recent purchases and working to stave off impending inflationary pressure. 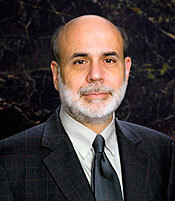 Expect to see more obvious references to an exit strategy in August and September as the FOMC seeks to brace markets. Below you will find a writing sample on a provocative and highly relevant subject in international finance known as the "global imbalances." This analysis of global trade begins with an explanation of the current state of the imbalances, followed by an examination of each major region of the world and an assessment of the impacts felt in the United States. While I wrote this paper in early 2007, my analysis of the imbalance between savings and investment in East Asia is even more relevant when viewed through the lens of a the current subprime meltdown. If you are unable to view or access the writing sample that I have hosted on the Scribd web service, please let me know. 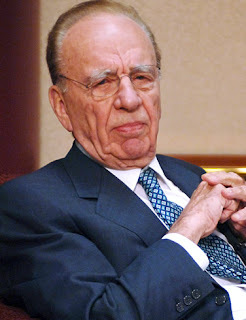 Rupert Murdoch: "The current days of the internet will soon be over"
Rupert Murdoch has problems. The man has built one of the most successful global media behemoths ever known to mankind. Its businesses span motion pictures, television, print, book publishing, and the internet. By any historical measure, the company has been a blockbuster success. The problem is that the inertia of the past is irrelevant—only the future matters, and the future of media, content, and where people spend their time, is on the web. And the web is a platform that is more casual about intellectual property rights, generally has lower advertising rates compared to print, and has much lower barriers to entry, all of which are big issues for a traditional media company. By many measures, the company most successful on the web is Google, a company that, unlike NewsCorp, doesn’t create content, but merely catalogs and organizes information. NewsCorp, however, earns revenue from the creation of high-quality original content. Given the state of the newspaper industry I took the time to listen to the NewsCorp conference call on Wednesday and decided to share some particularly thoughtful and foreboding comments Murdoch offered. I'm a big fan of Chipotle. The company is opening stores like crazy, their sales are way up, and the stock is on a tear (up 72% since February), not to mention the gastronomic enchantment at the core of the company’s daily mission. In a year of Wall Street bailouts, government blunders, and Madoff scandals, Chipotle is one of the few remaining rock-solid institutions that the public can count on. The burrito Mecca consistently offers high-quality ingredients, friendly service (almost always), and most importantly, killer burritos. Chipotle delivers--and that’s something you can’t say too often these days. Chipotle isn't just a restaurant or a company; it's an institution that holds a preeminent place in the American social order. Chipotle delivers a heavy dose of authenticity, and creativity, all while never ceasing to disappoint hungry burrito-eaters. Face it: We're living in turbulent times where even hundred year old institutions are going extinct. Thankfully there are still some institutions we can believe in—In Chipotle We Trust. Authenticity: Visit a Chipotle and not only can you taste the authenticity, but you can feel it, see it, and even hear it. The rugged industrial architecture features corrugated metal paneling with no-frills furniture, hard cement floors, and an open kitchen. Ingredients are laid before customers for their judgment, not hidden from customers’ discerning view. Chipotle is serious about being real—everything from the pork to the pico de gallo is made of ingredients you can actually pronounce. In fact, the restaurant is the largest buyer of naturally raised meats in the country and the menu has only changed once since 1996 when it introduced salads. You can hear Chipotle’s authenticity too. It’s not just the clanging pots and pans (yes those are real metal), but it’s the delta-blues and hot Latin funk, not muzak, that they pump through the store. When they say customers are important to them, they aren't kidding either. Customer Focus: Both front-line employees at the restaurants and the carpet walkers in Denver really care what customers think. When I complained about their chicken being too salty, they listened and someone replied with a personal email, CC’ing a ton of people at the company. When I asked about the guac, they listen, and sometimes they give me free chips...they even gave me a t-shirt. Chipotle cares about customers as people, not just order numbers, and it shows in the fierce customer loyalty they’ve earned. Creativity: Also setting Chipotle apart from other businesses is their sense of creativity. Most companies are afraid to give customers what they want. In restaurants across America you see “No Substitutions” warnings at the bottom of menus, but instead of limiting choices, Chipotle empowers customers to ask for what they want, and does a fantastic job delivering it. I challenge you to conceive a permutation of ingredients that Chipotle staff will not permit—it cannot be done. The seemingly limitless possibilities create a sense of delight and choice that keeps customers coming back. I’ve lavished an inordinate amount of praise on Chipotle here, so I must offer some criticism, of which I have plenty. How can Chipotle improve? What could they do better? I've got a bunch of ideas. Listen up—I want to hear your comments on this too. Bring back free sodas for college students. That's something cool that lets customers feel like they're special and getting in on something unique. Soda is cheap--give it away and you earn more in goodwill from customers than it costs you in sugar water. Work harder to create a sense of discovery, wonderment, and delight. The first few times of going to Chipotle are like entering a new world for customers. "Barbacoa? What's that? Let me try!" After a few visits, the novelty is gone, becomes expected and part of one's habit. I’d like to see something different and special every time I go in (different seasonings, types of tortillas, special drinks, different meats). This variability introduces some more complexity to the kitchen, but if the company wants to grow and keep customers interested, burrito boredom must not be tolerated. Make the line shorter at lunch time. Get the kitchen staff and operations people together and figure out a way to make the line shorter or serve more customers faster. There’s nothing worse than having to wait forever to get your burrito. I’ll let someone else figure this one out, but I can think of some evil demand-based pricing schemes. Avoid the fast food mentality. Chipotle does a pretty good job at not appearing to be a fast food restaurant, but with over 800 restaurants across the U.S., they must be watchful of the temptation to wring out costs by diluting the experience. My advice is to keep each customer visit and store experience unique. A great example is Trader Joes: They keep the experience fresh by consistently innovating in products and with creative store artwork/signage. Chipotle should allow employees to add their own artwork to the menu and incorporate regional specialties or traditions. The result is delighted customers and more engaged employees. Have more fun in the kitchen. Food is meant to be live. Have you ever had "dead food"? Go to Berkeley and ask some hippies what dead food is—trust me, it's not pretty. Show us that your food is alive by how the cooks interact with the servers. The kitchen server dichotomy seen in most restaurants breaks down with the open kitchen, and Chipotle should embrace it. I want to see the cooks smile and create my burrito with pride and enthusiasm. Disclosure: I have nothing to disclose (besides getting a free t-shirt once). Skittles recently redesigned their website in an attempt to fully embrace recent trends in social media. To be more precise, they’ve scrapped their website entirely and now just show a Twitter search feed for “skittles.” Aside from the ambient Flash widget they display in the upper left-hand corner of the page, the website is almost entirely composed of content that Skittles (a brand of Mars Inc.) has no control over. The move to bring social media to the forefront of their marketing and advertising efforts reflects a paradigm shift in communication and messaging. The Skittles redesign shows that companies no longer control what is said about their brands through a high-touch relationship building model we’ve known for so long as public relations. While the Skittles social media strategy is exciting and different, it's pretty clear they have no idea what they're doing. I'm looking for a way to follow Skittles on Twitter and not only is their no link on their website to their Twitter account, but it doesn't even look like they have an account. A crucial part of the company's social media strategy should be that they actually engage with users rather than simply ignore them. 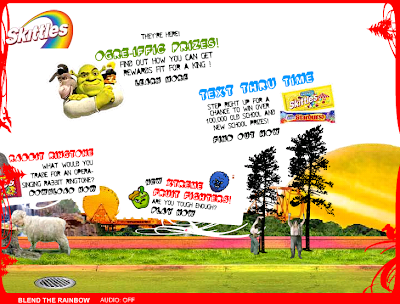 This is the old Skittles website, featuring games, prizes and ringtones. 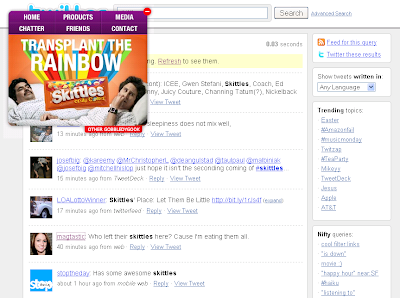 Below is the new Skittles site, featuring a Twitter search for "skittles." Note that there is no way to follow @SkittlesRainbow, which is probably the reason they only have 231 followers and are leaving a huge opportunty on the table. I've just been notified that @Skittles is actually a cat that is using Twitter. Since Twitter launched in 2006, businesses have been keen to embrace the tiny San Francisco based startup. We’ve seen Microsoft sponsor ExecTweets, a Twitter-powered CEO soapbox, Zappos CEO Tony Hsieh amass nearly 350,000 followers, and Salesforce.com use the Twitter API to incorporate tweets into its CRM products. 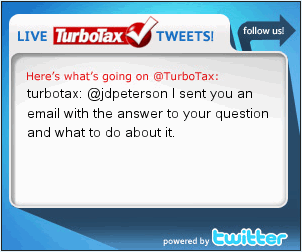 One corporate usage of Twitter that surprised me today and is particularly bold is Turbo Tax’s wholehearted embrace of its Twitter account. Intuit has purchased display advertising space on Twitpic, the photo sharing site, and the ads go directly to TurboTax’s Twitter page, where users can either elect to follow Turbo Tax (currently has 1,080 followers) or click through to the regular website. TurboTax is paying real money and even had a custom ad designed (the ads are on the DoubleClick network) to have people view its Twitter account. This is astounding and really speaks to how large companies are embracing Twitter and purportedly finding real value in the service. It’s undoubtedly experimental marketing, but I’m curious to see what kind of measurements they’re targeting to evaluate this campaign. Full Disclosure: I work for Intuit but have no knowledge or non-public information about this particular initiative. While the U.S. advertising market may be struggling as a whole, largely a result of the contraction in consumer spending and a reduction in advertising budgets, there are a few bright spots. Not surprisingly, the segment expected to grow the fastest this year is highly interactive and embraces my community concept: social networking. Interactive online advertising on social networks and videos is expected to grow by 25% this year, bucking the overall downward trend in advertising spending seen during the current economic contraction. The eMarketer report also highlights search and video game advertising, which the research firm expects to grow by 8% and 20% respectively. The growth in video game advertising makes good sense. Many hard-core consumers spend a decent part of their day engaged in these virtual worlds and the venues are highly interactive, contributing to a sense of immediacy with the products advertisers are promoting. In contrast to the growing interactive media space is print journalism which is experiencing declines across the board, which is obviously part of the recession but I also believe is a secular trend away from static media. The message is clear: media that embraces and offers relevant and immediate information to consumers in a community format is engaging consumers and the advertising dollars naturally follow. While it is true that traditional sources of revenue for newspapers are drying up, the core problem affecting the news industry isn’t revenue—it is consumer choice. The conventional wisdom about the newspaper business is that if papers could just find a new advertising model or creative way to monetize users, their problems would be solved. While a healthy revenue stream is vital to the long run success of any venture, the problem facing news media is much greater than simply better monetizing users. The challenge is to continue to attract a greater number of users and convince them to spend more of their scarce time and valuable personal information on the site. Satisfying these criteria will ultimately breed innovative revenue streams. Consumers are voting with their clicks: web users overwhelming prefer to spend their time at social networking properties like Facebook rather than on news sites. Driving this shift in where people are spending their time are three key trends affecting both news media and the web as a whole: relevancy, immediacy, and community. 1. Relevancy—For the average web user, only a small portion of the content on major news sites is relevant or important to her daily life. This is a fact both online and offline: news and happenings about our friends and family generally command far more of our attention than general news. 3. Community—News sites like the New York Times, the Wall Street Journal, and CNN.com strive to create a community around the news they publish. Features like the ability to add comments to articles and share with friends via email strive to create a sense of community, however fall miserably short. Readers want honest and genuine interaction with both authors and each other. When was the last time you saw a NYT reporter respond to comments on her article? It’s very rare. In an effort to create community on its cable news programs, CNN has even begun to expose Twitter responses to topics and opinions discussed by commentators. Community matters and is a key requirement for helping people decide where to spend their time online. Social networks by nature satisfy the community criteria very well. How are traditional news papers and even online news sources faring in the battle for readers’ time and attention? Web users spend over 10x the amount of time on Facebook and Myspace than on traditional online news sources. The data below compares Yahoo News, the Wall Street Journal, CNN.com, and the New York Times to social networking sites Facebook and Myspace (Source: Compete.com). During February 2009, U.S. internet users spent 5.9% of their time on Facebook and only 0.7% of their time on Yahoo News, the Wall Street Journal, CNN.com, and the New York Times combined. While it is true that major news sites have increased their share of user attention on their properties by increasing the immediacy of their content (mostly through blogs) and community features, these sites will not achieve the same share of users time and attention compared to sites exclusively focused on social interactions. What does this mean for the publishing industry and the news media business overall? Advertising dollars are limited and marketers will allocate them toward the most productive venues, which judging by user preference, will not be traditional news media for the forseeable future. As revenues slide, staffs dwindle, and traditional business models erode, the Media News Group is announcing a service that is calls “individuated news.” The news service, dubbed “I-News,” involves choosing the type of content you want to read and installing a bulky piece of hardware in your living room to print the news. I-News is a desperate solution to the news publishing industry’s wretched state. You have to give the Media News Group some credit for trying, but not much. The advent of RSS feeds and products like Netvibes and Google Reader make I-News completely irrelevant. In fact, if you’re determined to have your customized news actually look like a paper, that product already exists--it’s called Tabbloid and is from HP Labs. I am loath to offer such criticism without proposing a solution. The Media News Group is reacting to the current state of their business as if it were a cyclical downturn. While problems facing the print media industry have intensified during the current economic contraction, issues facing the Media News Group and the entire industry are part of a new reality and different set of assumptions under which they must operate. Rather than providing a service like I-News, the Media News Group would better position itself by moving entirely online and providing a hyper-local view of the news. By focusing on a specific industry, issue, or theme and having content written by participants with unique or expert perspectives, local papers could get an edge over national publishers and bloggers alike. This shift is something the San Jose Mercury News, located in the heart of Silicon Valley, was uniquely positioned to do, yet the paper ignored the opportunity and continued to print general business news syndicated from major papers. Outsourcing Journalism: Pasadena Now Goes "Glocal"
The local online-only newspaper, Pasadena Now, created an uproar when it revealed that a preponderance of its content is created not in sunny Pasadena, but over 8,000 miles away in Mumbai, India. Protectionists and traditional journalists were aghast at the revelation of outsourced journalism. Pasadena Now, which covers local news and politics, human interest stories, and community events, is written by a team of writers who don’t even consider themselves to be journalists, a fact made obvious their prose. James MacPherson, the editor in chief and owner of the website, considers himself a pioneer in a low cost content sourcing model that he calls “glocal.” Indian reporters source stories from local websites, event calendars, and city council minutes, creating what amounts to surprisingly comprehensive coverage. Pulitzers are certainly not in the offing for these reporters, but for a local daily, the content is concise and relevant to city happenings. A competing newspaper’s editor, Larry Wilson of the Pasadena Star News volunteered some disparaging comments about Pasadena Now’s “glocal” outsourcing journalism model: “To pretend you can get the feel and the culture of a town as complicated and interesting as Pasadena by e-mailing and doing things over the Internet is nutty.” Mr. Wilson has a right to be livid. While the quality of content on Pasadena Now is undoubtedly lower than that of his paper and other locally written dailies, the average "Joe-Six-Pack" (if he reads at all) can’t tell the difference. Journalism outsourcing is here to stay, especially as consumer demands force content online, where advertising rates are far lower than print. Outsourcing journalism is nothing new--Bloomberg and Reuters have been taking advantage of the labor arbitrage opportunity for years with their financial reporting. MacPherson’s “glocal” model is new and important for the publishing industry, however, because it represents such an aggressive move to lower costs as content moves online. Many papers have pursued an online strategy to maintain solvency and adapt with the times, but the shift to the web and lowering labor costs is no panacea. Publishers must compete for users’ attention to justify current advertising rates. The shift online is just one step toward a viable strategy that papers such as the New York Times have fully embraced. What papers should be worried about, however, isn’t whether or not they can transition their businesses to the web--this is a prerequisite for their coming challenge. The paramount concern of publishers should be the obvious growing user preference for a product that is cheaper to produce and that many users find more engaging: social media. The graph below shows the percentage of time U.S. internet users spent on the Wall Street Journal online, New York Times online, and Facebook. The Wall Street Journal and the New York Times together make up only 0.2% of the average users’ time online, while Facebook accounts for a staggering 5% (Source: compete.com). With content produced for free by social networking users and users spending more time on those sites, the traditional online business model for newspapers is seriously at risk. Expect more citizen journalism and for successful papers to transform themselves into social contribution systems rather than uni-directional news sources. Did the Social Networking Bubble Pop? Last week, Twitter raised $35 million from venture capital firms Benchmark and Institutional Venture Partners in deal that valued the micro-blogging service at what is rumored to be an impressive $250 million. While a quarter billion dollars for a nascent firm with no revenues to speak of might seem like a staggering sum, by industry standards, it appears perfectly rational. With 6 million users, Benchmark and IVP paid roughly $42 per Twitter user, slightly less than Murdoch’s NewsCorp paid for Facebook users back in 2005, before social networking was the buzzword du jour. Microsoft’s $240 million infusion into Facebook, however came at an irrationally exuberant price of $85 per user. Given Twitter’s growth in unique visitors of over 800% comparing annual figures, the Twitter valuation begins to make even more sense. At some point these businesses will have to generate significant revenues to justify the lofty expectations investors have placed on them, but don't expect the answer to be advertising. What this change makes clear is that from a public relations and communications perspective, users are king in the land of Facebook—users’ status in the legal world is still to be decided. The group, "People Against the New Terms of Service (TOS)" now boasts nearly 88K members, with over 1,300 comments in opposition to the company's efforts to control and own user data. The issues over Facebook's terms of service, however, underscore a paradox at the crux of Facebook's business model. While the company is pressured by investors and management to better monetize its user base (after all it is a profit-making enterprise), aggressive efforts to monetize users are met with fierce opposition. Many users are loath to have Facebook use their personal information for marketing purposes. Yet this data is Facebook's only real unique asset, and any meaningful economic profits will likely come from manipulating, sharing, and storing user data. The company is obviously aware of this paradox, which is reflected in a communications strategy in which the lawyers act as the aggressors by putting more teeth in the TOS and Zuckerberg placates users with friendly language on his blog, rhapsodizing about "principles" and "philosophy." In the end, this strategy conceals changes made to the TOS and keeps users happy by making them feel like they have been heard from and respected by management. This is nothing new from Facebook, as a similar strategy was used in rolling out the NewsFeed functionality, which was also met with user protest. Facebook’s aggressive change to its terms of service this week has a created a brouhaha of massive proportions. A normally acquiescent user base that is loath to privacy controls has become irate over changes made to the user agreement. At the heart of the controversy is strengthened language declaring Facbook’s ownership and license to your information. The new terms of service grant the company a “perpetural wordwide license” to make use of your personal content. It omits a clause from the previous TOS stating that deactivating one’s account is tantamount to revoking the license granted to Facebook. As of this morning, a movement in opposition of the new user agreement had amassed over 30K members, growing at an astounding 100 new members per minute. The issue has even received attention from Mark Zuckerberg, who posted on the topic in an effort to quell the uproar from users. Zuckerberg explains, “Our philosophy is that people own their information and control who they share it with. In reality, we wouldn't share your information in a way you wouldn't want.” Newsflash: Philosophy differs from legalese. The TOS is an affront to user rights and ownership over their original content. While Zuckerberg has attempted to make the language more palatable, the legal reality is that users no longer control the use of their content while using the service and after deactivating their accounts. The change in the terms of service and the outcome of the user revolt is significant because it emanates from a growing concern for Facebook--how to monetize users and justify what was once a $15 billion valuation for the company. With a valuation of that magnitude, Facebook would sell for nearly 50 times 2008 revenue, a preposterous multiple. The company is under pressure from financiers to monetize their 50 million active users and over 40 monthly billion pageviews. With a business model where data is their primary asset, expect user information to be more tightly guarded by the company. As business models develop that involve demographic profiling, targeted advertising, selling user profiles, and cookie-sharing emerge, the company must solidify its hold on the only unique asset it owns—user information. Twitter is old news to technophiles, but the micro-blogging service that has been around since 2006, has recently received a tremendous amount of attention in the media. In a flurry of articles and predictions, we learned last week that the 29 employee firm, with no revenues to speak of, carries a valuation of approximately $250 million. What is even more remarkable is that Facebook purportedly offered $500 million for the company earlier this year. What gives? The usefulness of Twitter is subtle at first but its appeal is obvious. In short 140-character snippets, the service allows you to send messages to your friends, or those that have opted-in to hear your tweets. Think of it like a text message that gets sent to your entire phone book, except your friends choose to be in your phone book or not. ting-in rather than opting-out for communications. This lets users select whom they’d like to hear from, not visa-versa. Lastly, Twitter is noncommittal—you aren’t obliged to respond to tweets, but can merely enjoy the ebullient flow of information, acting on it when you like. 1. Business User Accounts: A recent phenomenon is that companies are turning to Twitter as a way to connect with customers and promote themselves on the web. Sign up for Twitter and you will find plenty of corporate “friends” to follow, whose tweets are mostly spam. Twitter can charge businesses to use the service to communicate with customers. 2. Pay Per Lead: Twitter recently released new functionality that allows you to pick from suggested people to follow. Companies will pay to have people enjoy their ambient presence by subscribing to their tweets. This will generate click-throughs and potentially sales. 3. Advertising: Injecting relevant advertising into tweet feeds could garner some click-throughs, but certainly not enough to warrant a $250M valuation. So what does this all amount to? None of the business models described could compel a venture capitalist to offer $250 million for the company. Twitter has something else up its sleeve. The web service taps into the ambient desires, life-events, and the emotions of its users. Users volunteer to share this intimate information with their friends. These intentions and personal moments are far more valuable than cold hearted search terms that are plugged into the likes of Google and Yahoo everyday. The Twitter opportunity is to tap into genuine needs, feelings, and human interactions--a hundred-billion dollar bonanza for marketers. The Cato Institute, a prominent libertarian think tank, recently lambasted President Obama with a full-page advertisement appearing in the New York Times, the Washington Post, and other national publications. The Cato ad takes specific issue with an Obama statement made in early January aimed to accelerate the legislative process and convince Congress to eschew the partisan differences to pass the stimulus package quickly. To Obama’s chagrin, over 240 economists gathered by Cato disagree with Obama’s assertion that “there is no disagreement that we need action by our government, a recovery plan that will help to jumpstart the economy.” It is not surprising that the Cato Institute and other free market thinkers find fault with the stimulus package, officially known as the American Recovery and Reinvestment Act of 2009, as the bill contains hundreds of billions of dollars in spending that will expand the size of the Federal government. While expanding the size of the federal government over the long run is a dangerous plan and will fail to contribute to economic growth, in the short run, the increase in government spending may be exactly what it will require to restart America’s economic engine. In an environment where consumers have little spending power and firms are hesitant to invest in new capital equipment, the only participant in our economy with the ability to spend may be the Federal government. While the stimulus package includes many questionable investments and is certain to cost future taxpayers dearly, the risk of inaction is far higher.